LeBron James makes his triumphant return to the city of Cleveland tonight, and Cavs fans are completely prepared obsessed. 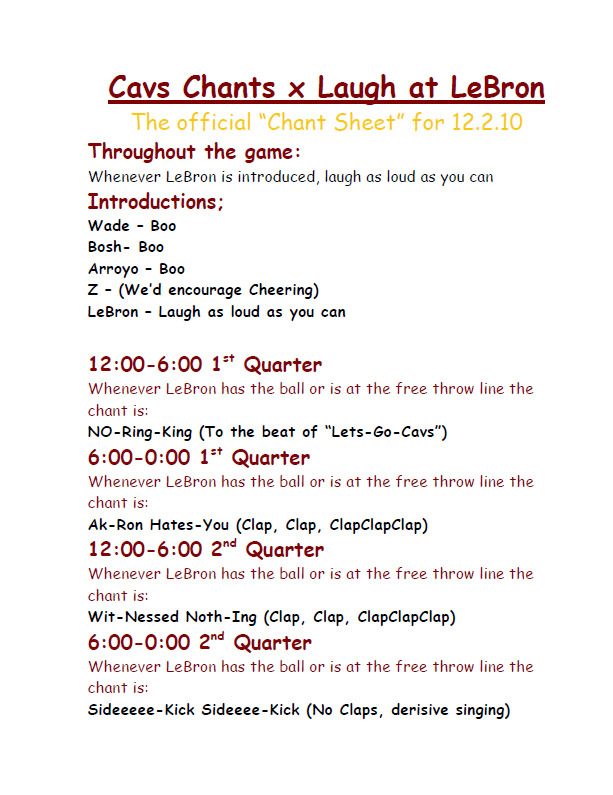 The website Cavs Chants has put together a minute-by-minute chant sheet for fans attending the game. The first half is below, check out the second half after the jump. Comic Sans though? Not gonna lie, “Witness-ed Noth-ing” is a pretty funny one.